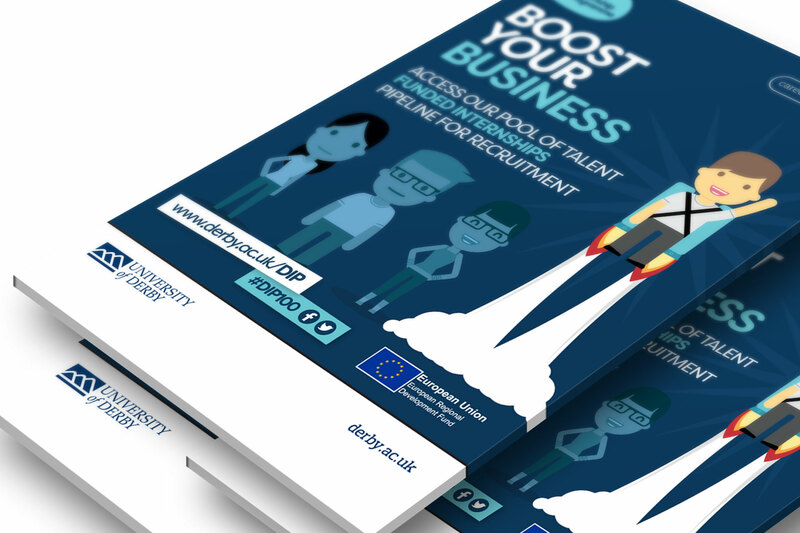 Working with the Careers and Employment service, and following successful tenders, threeguru developed an engaging and thought provoking marketing campaign for the University’s Enterprise Scheme. 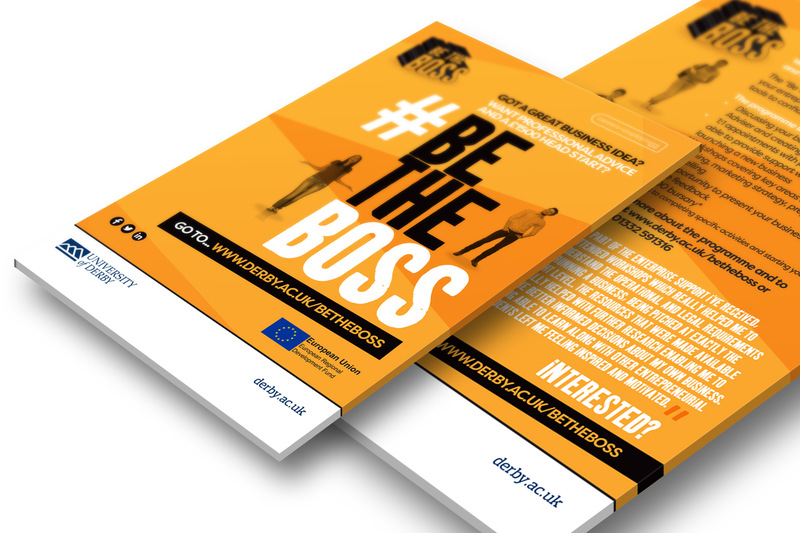 The strategy for the #BeTheBoss campaign was to encourage students to consider setting up business themselves as an alternative to going into employment. 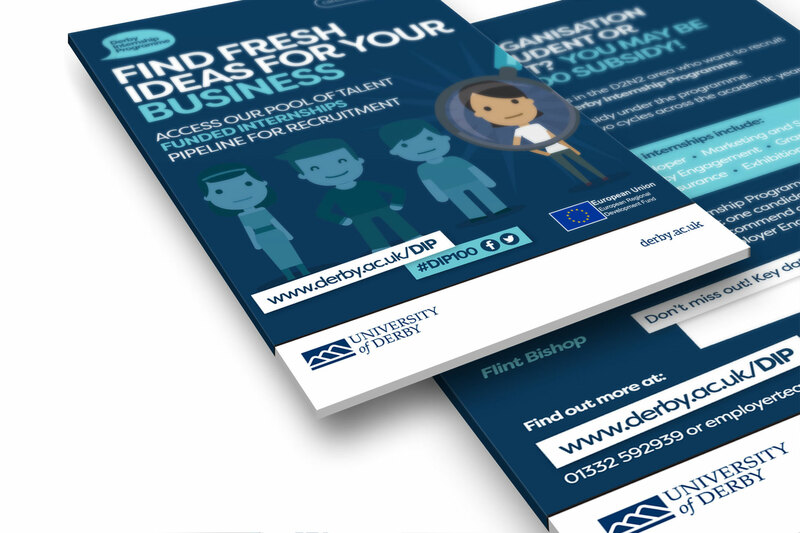 From conception to delivery, the guru’s developed an integrated campaign which included social media marketing and marketing collateral such as information flyers and promotional banners. 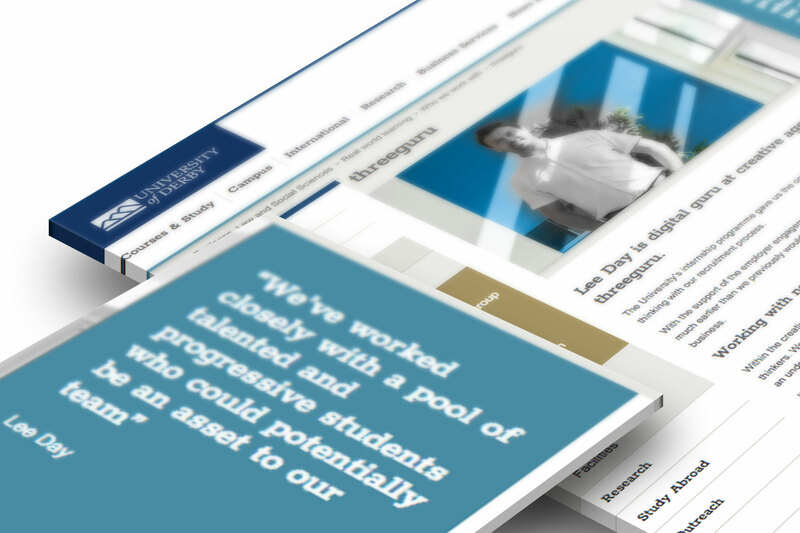 Having first hand experience of the University’s intern programme, threeguru were at an advantage when putting together the marketing strategy for Internship programme. 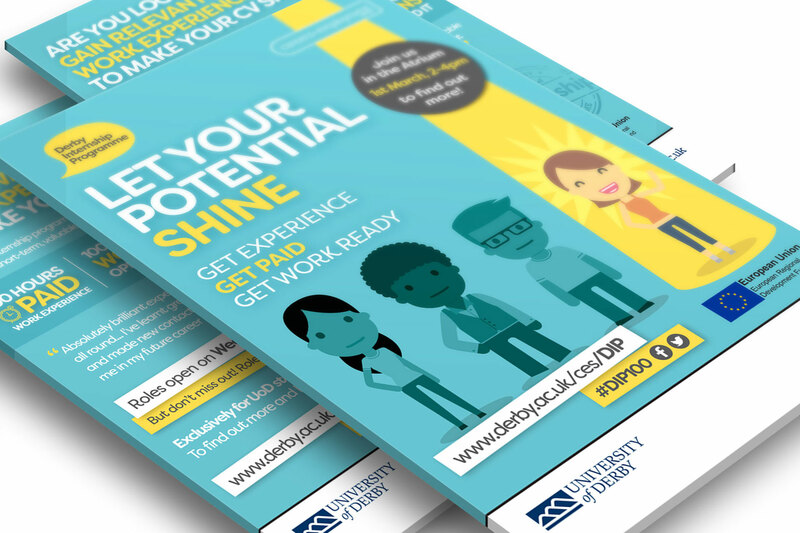 The project was in two parts; the first core objective was to encourage students to sign up for paid work placements whilst the second, due to run later this year, is set to get employers to offer places to the students.